Ariel Aufgang has been busy in Midtown West, with new projects at 444 10th Avenue and 411 West 35th Street. 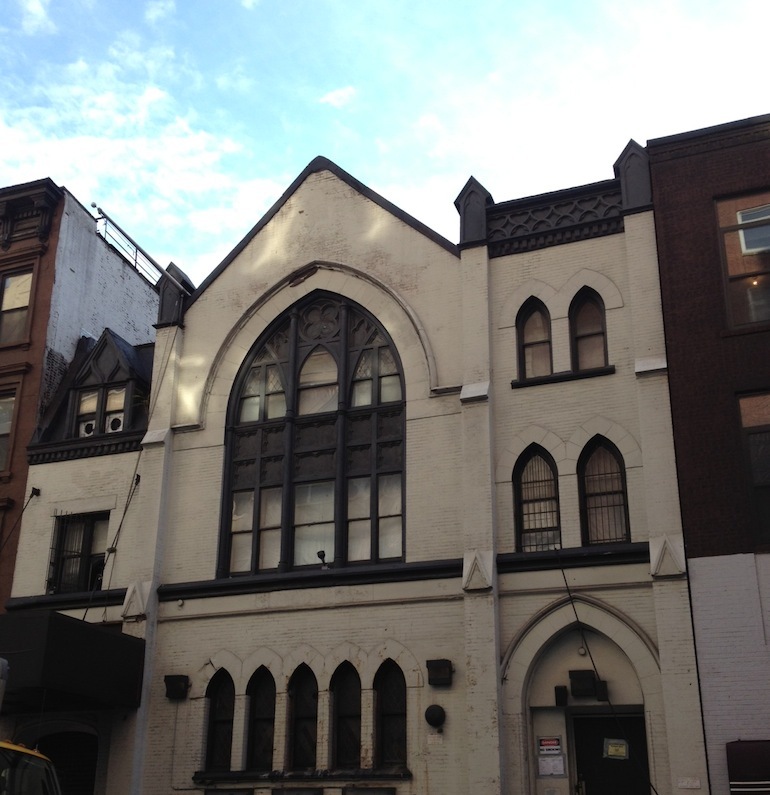 Now, he’s the architect of record for a new seven-story, 17-unit building at 424 West 55th Street in Hell’s Kitchen. Located between Ninth and Tenth avenues, the project is being developed by The Arker Companies, according to the plan exam application filed October 17th. The 18,392-square-foot development will have bicycle storage, a laundry room and an outdoor recreation area. The site is currently home to a vacant three-story former church with a 3,000-square-foot theater. The 13,180-square-foot property went on the market in September 2012 with an asking price of $9.2 million, according to the Eastern Consolidated listing. The seller was Swotel Holdings. The developer bought the building for $8.16 million this year and filed plans on August 21st to demolish it, according to public records. The Arker Companies has another project nearby at 439 West 53rd Street, a seven-story, 10-unit building with studios and one-bedrooms.